A 28 bead version of our mallah beads (prayer beads) made with an elasticated cord and a tassel. Each mallah comes in its own little recycled sari pouch making it an attractive gift. 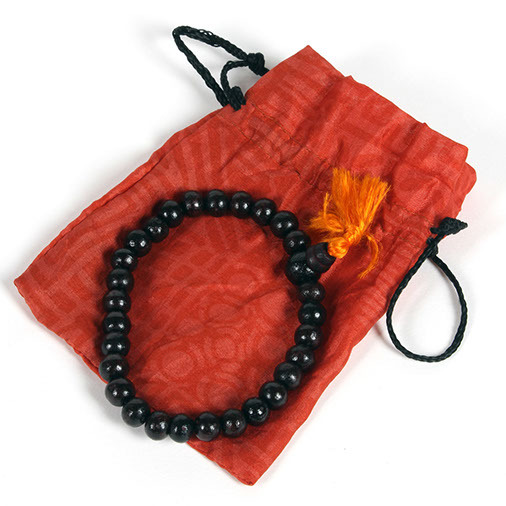 In Tibetan Buddhism it is common for 21 or 28 bead mallahs are often used to facilitate counting when performing prostrations (ritual bows.) They contain less beads than the typical 108 bead mallah so that they are easier to carry around.